GUGUDAN, Se jeong, Hana, Mimi returned as a reader of the fairy tale. GUGUDAN, Se jeong, Hana and Mimi returned as a reader. Se jeong, Hana and Mimi of GUGUDAN, with their plump charm and unique concept, are making headlines by participating in the reading of the lovely story "Charlotte's Web." Se jeong, Hana and Mimi has been catching the public's ears with a clean and powerful voice on stage, will be able to play a variety of attractive voices from soft and calm voice to cuteness through Naver's audio-clip audio book. 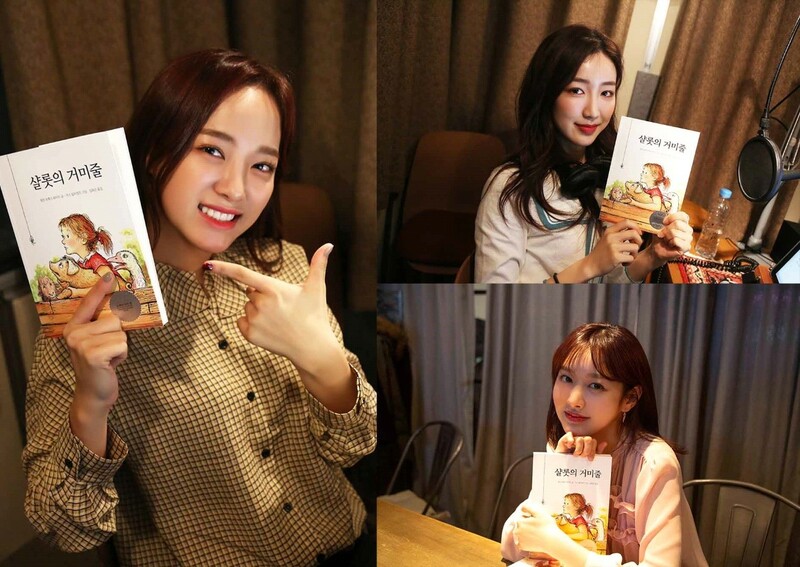 Charlotte's Web, a warm fairy tale with a film like story, and Charlotte's Web was more lovingly recreated by GUGUDAN Se jeong, Hana and Mimi, can be heard through Naver's audio-clip audio book.